As I've been researching in the Upper Canada Sundries, I've come across many different lists of names. 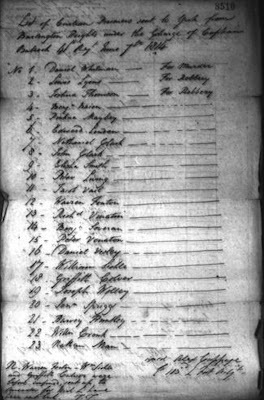 It seems to me that these lists work in several ways - as substitute census records for early Ontario (Upper Canada), as military lists and as in the case below, as lists of prisoners in various jails. The images are not always easy to read, the filming is often out of focus but I've done my best to transcribe these lists. If you recognize an ancestor and I've erred in transcribing the name, please leave a comment on this blog entry. Note at bottom left of list: N. Warren Fenton, William Sickle and Griffith Colver were before confined, sent up to Ancaster for [next 6 words difficult to read] (signed) T. T.
Lyons, but pardoned on the recommendation of the trial judge. Can. Arch., Sundries, U. C, Sept.-Dec, 1814. For those searching ancestors in Canada, Canadiana.org has some great digital images of miscellaneous databases online. One of these is the overlooked but valuable Heir & Devisee Commission papers 1797-1854, found in their Heritage Collection. This digitized but unindexed collection consists of 21 microfilm reels. The reels contain various volumes of the Heir & Devisee Commission papers, starting from Volume 1 to Volume 104. Canadiana.org provides a list of each microfilm and what volume numbers are included, plus a very brief description of what is contained in the volumes. 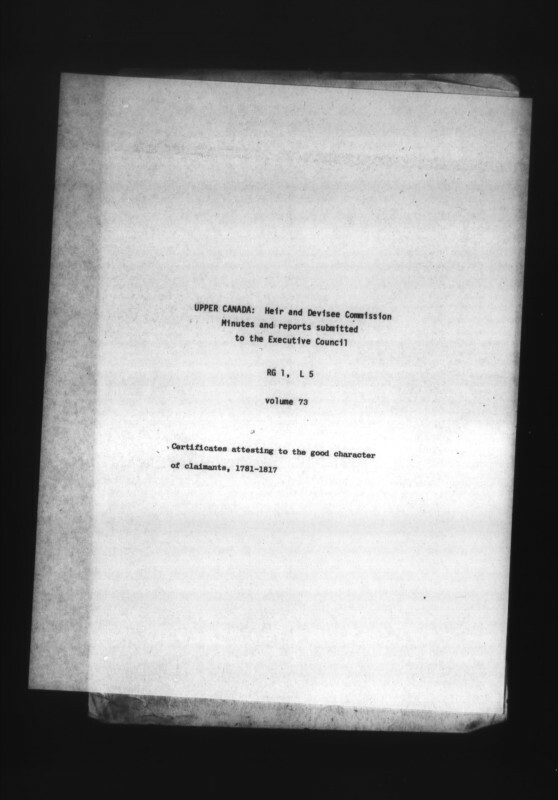 For example, the first microfilm H 1143 contains Volumes 1 to 6. Volume 5, as an example, is said to contain Notices of claims, received but disallowed or unresolved, arranged alphabetically for the Eastern District ca 1809-1841. This is very useful to the researcher as we can narrow our browsing to those microfilms of interest to us. It's still a long task as there are no indexes and each Volume is arranged differently. Some are alphabetical, some are by district and so on. But this listing of microfilms with volumes contained narrows our search. Each microfilm has been digitized and is available for immediate browsing. Unfortunately Canadiana.org's listings are incorrect, as is their main title "Heir and Devisee Commission, 1777-1854". The correct dates are 1797-1854. I discovered the incorrect listings in the online Finding Aid accidentally by searching for a specific time period in a specific location. Using the list of microfilms with contents, I chose the appropriate images. But as I scrolled through I realized something was wrong. I seemed to be looking at documents for the Johnston District, not Niagara area. Then I came across what I call a cover page - a typewritten sheet stating what Volume number I was about to view and a description of what images came next. But the volume number was wrong and should not have been on that particular microfilm according to the list provided by Canadiana.org. Long story short, I began a methodical (slow!) search of every microfilm that has been digitized and placed online. Of the 21 microfilms, 10 are incorrectly identified as to volume numbers and content contained. 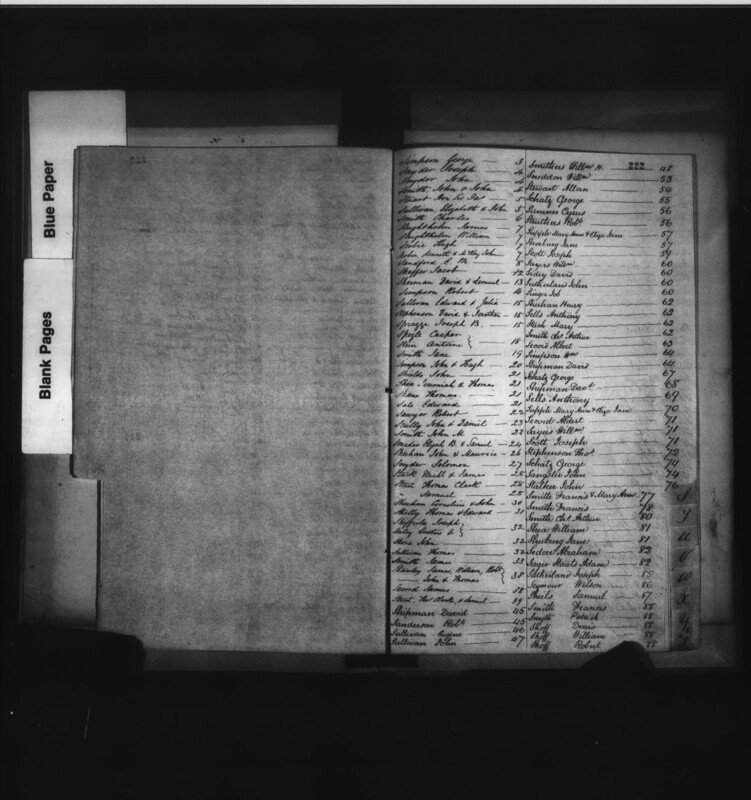 To assist other genealogists and researchers, I am providing my correctly identified contents of each microfilm. It took me over a week to do this and I am happy to share it with others. I will be contacting Canadiana.org to advise them of the errors. And now - here is the corrected list of Heir & Devisee Commission microfilms and volumes contained within each compared to the Canadiana.org list. Those in red are incorrectly labelled and identified on Canadiana.org. For those microfilms with no cover pages indicating Volume Numbers, I compared page numbers at the start and the end of each film to determine what volume(s) were in each film. Stay tuned for more details on each film and what it contains plus image numbers to jump to the different volumes within each. Free Access to Immigration Records on Ancestry! Ancestry.com is offering free access to immigration and travel records ending September 2, 2013 at midnight ET. Don't miss out on this great opportunity to look for your ancestor in the large collection of immigration and travel records. Who Do You Think You Are? on TCL in partnership with Ancestry.com last night featured a journey with Cindy Crawford. Cindy knew very little beyond her great grandparents' names so she first went to Ancestry.com to search in census records. That was a great starting point but when she searched she found several men with the same name. When she spotted one who lived in the same area she quickly accepted him as her ancestor. Now, perhaps she knew his wife's name. Perhaps the show's researchers had verified it was the correct man, but we, the viewers, were not made aware of any verification! The episode quickly went downhill. Soon Cindy was shown a chart taking her back to a Puritan ancestor who came from Taunton England in the early 1600s. She remarked "It's pretty incredible to get back that far on my first day" What a bad message to send beginning genealogists! Forget "incredible", it's next to impossible! Finding and verifying that lineage so far back would have taken weeks, months, perhaps even years for most genealogists. The clincher was near the end of the episode. Cindy is consulting with a researcher in England and he pulled out a huge rolled up scroll. 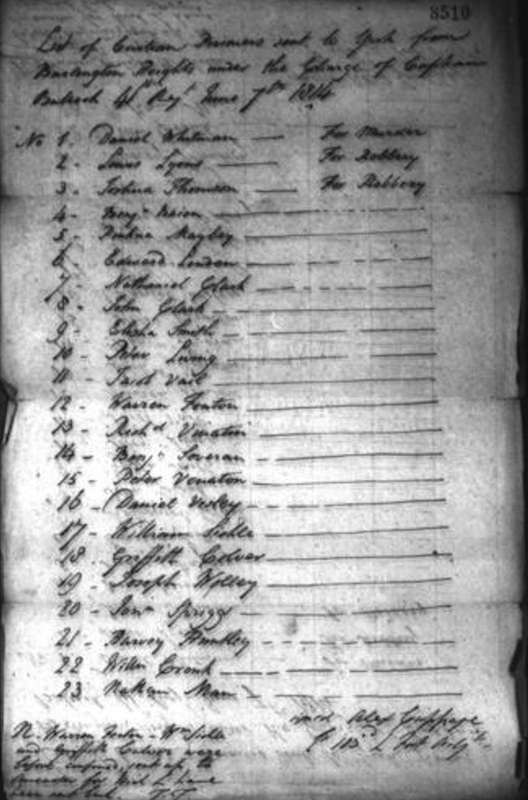 She begins to unravel it and sees it is a chart showing her ancestry from her Puritan ancestor Thomas Trowbridge. As she unrolls it she starts counting the generations "...24, 25, 25..." then she reaches the top name on the chart. Charlemagne! Good grief. Is this not what makes us cringe? Don't we warn beginners about jumping back to Charlemagne, about slowing down and carefully checking each fact? It's almost akin to the age-old genealogy joke that someone descends from one of three brothers who were shipwrecked at sea, clung to a paddle or piece of driftwood in the ocean, washed ashore, had their name changed at Ellis Island and met and married an Indian Princess! Not one shred of evidence was shown to viewers. Then Cindy, instead of focusing on one or two ancestors of interest who she might learn more about, went off to the birthplace of Charlemagne to learn about him. So much for genealogy, this episode was about collecting names, the more names the better. All fluff and no substance. Now I am not saying that the researchers behind the scenes did not do their homework. I'm quite sure they did. Top-notch genealogists and historians were on the research team. I know it took over 1000 hours of research on their part, which had to be condensed into a one hour (less with commercials) segment. But the producers did a disservice to genealogy and to the behind-the-scenes researchers by not giving some indication of the work involved, of the methods of proving each step before going on to the next. And it sent the wrong message to those just starting their own genealogy journey. I hate seeing an episode like last night's that made genealogy look like a quick fix. 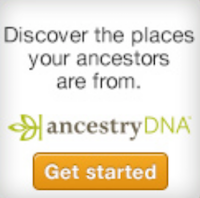 Yes we want to encourage people to start searching for their ancestors, but let's not lie to them! Genealogy is a life-long pursuit. It can take years to go from one distant ancestor to the next. It isn't fast, it isn't easy but it is very rewarding if you take your time and gather all details you can find on each ancestor. Labels: Ancestry.com, Reviews, TLC, TV Series, WDYTYA, Who Do You Think You Are? Who Do You Think You Are? on TCL in partnership with Ancestry.com tonight goes on a journey with Cindy Crawford. According to the TLC website, she's in for a "big surprise". There's a sneak peek on their site for anyone who wants to take a look. 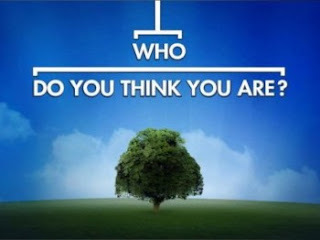 Labels: Ancestry.com, Cindy Crawford, TLC, WDYTYA, Who Do You Think You Are? Which Ancestor Would You Like to Walk Back Into Your Life? This morning one of my Facebook friends, Midge Frazel of Granite in My Blood blog, was talking about a book and one of her comments was: "Think about which ancestor [edited] that you would like to walk back into your life." I was torn between three ancestors - Ots-Toch, my Mohawk ancestor born ca 1634 in New York, Joseph McGinnis my Irish great-great grandfather, and my 4th great-grandpa Jacob Peer whose origins and whereabouts before 1786 in New Jersey are a mystery. One thought that came to me was - would I even like my ancestor when I met him or her? I suspect Ots-Toch would be a little rough around the edges for me, and she might not want to talk or share her stories. 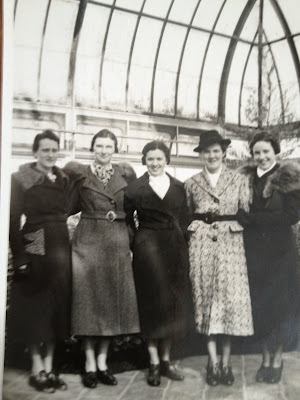 It's kind of odd to really think about your ancestors because I suspect we all naively expect that they'd be refined and gracious and lovely people and we'd adore them. But I think the reality is that it's just as likely they could be uncouth, unpleasant and perhaps not up to our standards of personal cleanliness! Ignoring those extraneous thoughts, I'm going to ask Joseph McGinnis to come pay me a visit. Because my father inspired me to start searching, because he wanted to know about his Irish ancestry so badly, and because he died when I was just barely 14 years old, I am choosing Joseph. 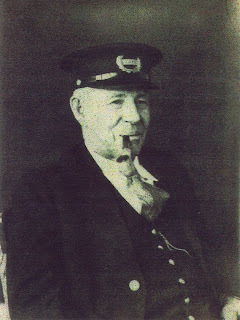 Joseph was my dad's great grandfather and I dont' know much more about him than I did 30 years ago. I don't have a photo of Joseph but the photo on this post is of his brother Hugh. All I know of Joseph is that he was born in Co. Down Ireland, probably near Belfast and that he married Frances (Fanny) Downey ca 1845 and had a daughter Bridget (aka Delia) born 1846 in Co. Down. Shortly after Bridget's birth he brought his family to Ontario Canada and settled in Puslinch Township near Guelph Ontario. I do not know for sure who his parents were. So Joseph please do drop by for a chat. I'll even offer you a drop of good Irish whiskey! I want to hear about the place where you grew up, about your voyage from Ireland during the Famine years to the wilds of Canada and how you coped once you were here. I hope you have a few hours to spend because I want to listen to your Irish lilt and hear you talk about Ireland. This is the 7th photo in our collection of rescued photographs of the Hooper and Squires families of St. Mary's Ontario Canada. To view all the photos in this collection as they are published here on Olive Tree Genealogy blog, click on Hooper-Squires Photo Archives link. 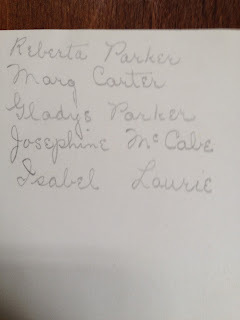 I do not know who these women are and how they connect to the Hooper or Squires family. The Central New York Genealogical Society and the New York Genealogical and Biographical Society Announce the First New York State Family History Conference on September 20 and 21, 2013. NEW YORK, NY, March 19, 2013 -- The Central New York Genealogical Society and the New York Genealogical and Biographical Society are cosponsoring the first-ever statewide genealogical conference in New York. The two-day conference will be held on September 20 and 21 at the Holiday Inn & Conference Center Liverpool, just outside Syracuse, New York. Preconference research activities will be available on September 19. Attendees will have an opportunity to advance their skills in researching New York families and to build general skills through 20 lectures in two parallel tracks; two luncheons and a dinner, all with riveting speakers; and exhibits by vendors and societies. The Conference Program and exhibitor information may be found on the Conference website, www.NYSFHC.org. New York State poses numerous challenges for even the most experienced family history researcher. The New York State Family History Conference will break down research barriers and provide a forum that brings people together to share their research knowledge and problem-solving experiences and to collaborate on key research issues. Future conferences will be scheduled at regular intervals.The early-bird registration fee for the two-day Conference (excluding meals and printed syllabus) is $115 until July 1, after which it will be $140; members of the CNYGS or the NYG&B receive a $25 discount. Purchase tickets in the online store at www.newyorkfamilyhistory.org. Conference speakers include the top names in New York genealogy: Blaine Bettinger, The Journal of Genetic Genealogy; Ruth Carr, New York Public Library (retired); Sachiko Clayton, New York Public Library; Laura Murphy DeGrazia, CG, NYG&B Record; Stefani Evans, CG, National Genealogical Society; James D. Folts, New York State Archives; Karen Mauer Green, CG, NYG&B Record; Eric Grundset, Library of the Daughters of the American Revolution; Terry Koch-Bostic, National Genealogical Society; Michael Leclerc, Mocavo; Joseph Lieby, Palatines to America German Genealogical Society; Maira Liriano, New York Public Library; Kathleen Roe, New York State Archives; Paula Stuart-Warren, CG; and D. Joshua Taylor, findmypast.com. Sponsors of the conference include: findmypast.com, Mocavo, the National Genealogical Society, the New York Public Library, the Office of Cultural Education/New York State Education Department, and the William G. Pomeroy Foundation. The Central New York Genealogical Society was formed in 1961 for the purpose of preserving, publishing and sharing genealogical information and resources. Towards that end, it has published Tree Talks, a highly respected quarterly which contains abstracts of significant records from upstate New York counties and is fully indexed, annually. The CNYGS holds six meetings yearly, and members engage in record preservation projects to preserve and report information for the future. Its official website is located at rootsweb.ancestry.com/~nycnygs. The New York Genealogical and Biographical Society was founded in 1869 and is the largest and only statewide genealogical society in New York State. The NYG&B publishes two quarterlies, The Record and The New York Researcher; offers a robust schedule of educational programs; partners with organizations across the state through the New York Family History School; and maintains a website, www.newyorkfamilyhistory.org, with a growing elibrary of unique research resources, including the full run (since 1870) of The Record, which preserves the histories of New York families. The NYG&B will soon publish the New York Family History Research Guide and Gazetteer, the first guide to genealogy resources across the entire state and the first statewide gazetteer since 1872. Orphan Photo: Anyone Want to Claim William Daniel Gilbert from Pennsylvania? On the left is a lovely photo of a young boy, labelled on the reverse "William Daniel Gilbert, Pennsylvania"
I own this photo. But here's the odd thing - I am not related to this family. I don't know why I have the photo. I did not purchase it. I have a vague memory that someone many years ago mailed it to me. But I don't know why as I have no connection to the Gilbert family. So my hope is that posting about this today and including the photo of this adorable young boy, someone out there can claim him as an ancestor. If he's yours, you can have this photo to cherish as I will mail it to you. He must be young as he is wearing a skirt. That means he was not yet out of diapers. It's a difficult photo to date as my copy is a reproduction and so I don't have the original to see what type of photo it was (CDV? Cabinet Card?) So I really can't offer any guess as to a year. 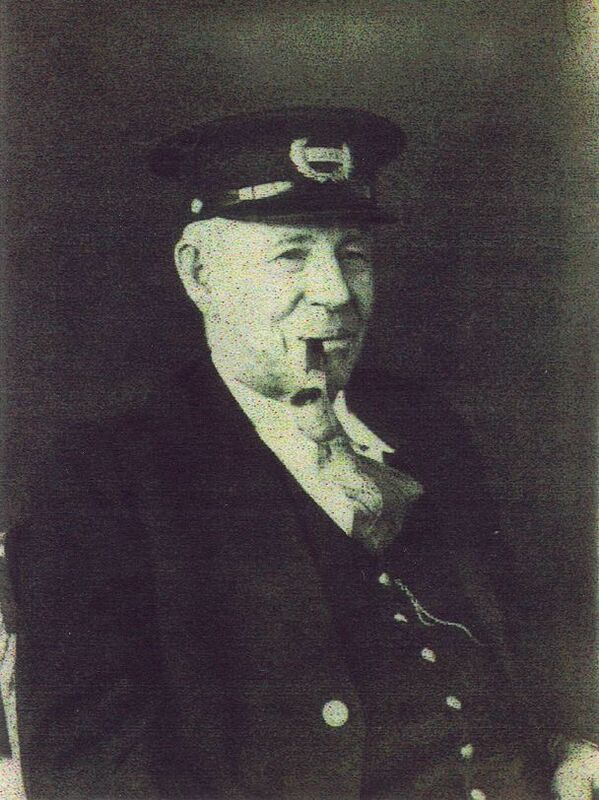 I have many 1800s identified photographs on Lost Faces so why not take a peek to see if there's an ancestor of yours? There are photos from 63 antique photo albums and each album averages 50 photographs. So you can take a look through over 3000 photos that I have online now. 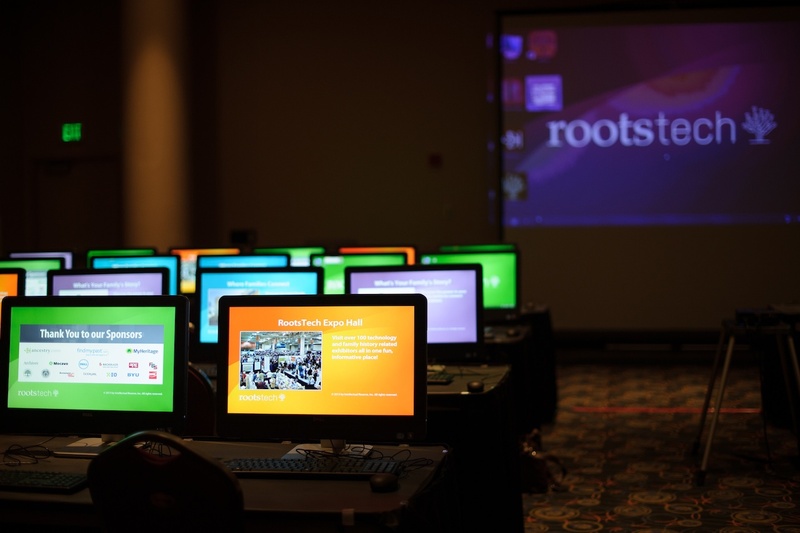 SALT LAKE CITY – RootsTech announced today that The Federation of Genealogical Societies (FGS) will hold its 2015 National Conference in conjunction with the popular RootsTech conference in Salt Lake City, Utah, February 12-14, 2015. RootsTech, hosted by FamilySearch, has quickly become the largest family history conference in North America. The unique culture of the RootsTech conference attracts growing throngs of attendees from around the world both in-person and online seeking to discover and share family connections, stories, and history. FGS represents the over 500,000 members of hundreds of genealogical societies and presents an annual national conference program that helps strengthen and link the genealogical community. 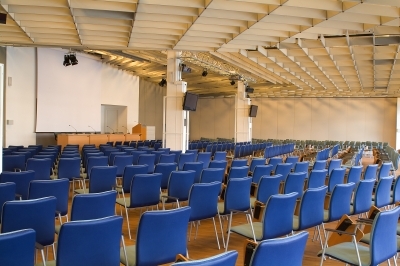 Conducting both conferences at the same time in the same facility gives interested attendees the option to conveniently benefit from both conference programs for a nominal additional cost. The Salt Palace Convention Center will be the common venue, and both FamilySearch and FGS will produce a unique event addressing the educational needs of the family history, technology and genealogical society communities. Attendees will see familiar elements of both events including dynamic keynote presentations, hands-on workshops, a Society Showcase and free Expo Hall. "The FGS conference attracts genealogy society leaders that serve the needs of genealogy patrons worldwide, and RootsTech caters to a very different audience of all ages seeking to discover, preserve, and share their family stories and history," said Dan Martinez, RootsTech Director of Marketing. "Holding the two annual conferences in the same venue will create a rich learning environment and increase benefits to all attendees." Registration details for both events will be available in August 2014. FGS President D. Joshua Taylor states, "FamilySearch has been a valued partner and sponsor for FGS during its past conferences. It only makes sense for both organizations to work together and produce what will be the most talked about genealogy event of 2015." Taylor added that such an event brings the best of RootsTech and FGS conferences together under one roof and will offer genealogists and family historians a wide array of activities and educational opportunities. Who Do You Think You Are? Chris O'Donnell's Ancestors' Treasures Left me with Genealogy Envy! Who Do You Think You Are? on TCL in partnership with Ancestry.com last night featuring Chris O’Donnell was delightful. I really enjoyed all the military history that was provided and seeing how pleased and genuinely surprised Chris was with each new find. All the wonderful family treasures, letters, documents and photos that genealogy researchers kept turning up for him left me in a state of genealogy envy! But I liked how they kept stressing that their finds were unusual and that we are not always so lucky. When they got to his ancestor who fought in the War of 1812, I was actually dreading what was coming. There's a lot of bickering and controversy over who won that war and of course as a Canadian with ancestors on the British side, I'm backing the point that the Battle of New Orleans was won after the War had officially ended. So it doesn't count. But that controversial point was never mentioned thank goodness. All in all I think I enjoyed this week's episode almost as much as Christina Applegate's episode. And Chris came across as a decent and rather nice guy! I didn't realize he played the young man in "Scent of a Woman" which is one of my favourite movies of all time. What a great job he did! What are your thoughts and feelings on last night's episode? Labels: Family Heirlooms, Mexican American War, War of 1812, WDYTYA, Who Do You Think You Are? Who Do You Think You Are? on TCL in partnership with Ancestry.com tonight will focus on Chris O’Donnell’s strong family legacy through an epidemic and war. He travels to St. Louis and Washington D.C to see how deep his roots go and learn of the events that strongly tie his family to American history. If you have a War of 1812 ancestor you may wish to consult Fold3. 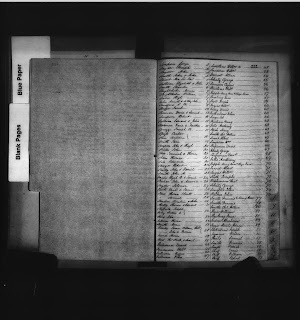 The War of 1812 pension and bounty land warrant application files are still being digitized and more than 700,000 records are already online at Fold3.com These rich documents contain details of your ancestors such as affidavits, statements from witnesses, widow’s maiden name, acres granted, marriage date, service data and more. Tune in tonight at 9/8C on TLC to see what Chris O’Donnell discovers from the War of 1812 pension files. My ancestors fought in the War of 1812 but on the British side. Stephen Peer the brother of my 4th great-grandfather was killed at the Battle of Chippewa. What about your War of 1812 ancestors - do you know their stories? Labels: Ancestry.com, Fold3, Military Ancestors, TLC, War of 1812, WDYTYA, Who Do You Think You Are? I love this photo. It was taken in 1925, probably in England. The boys are brothers and their names are on the back as this is actually a postcard. 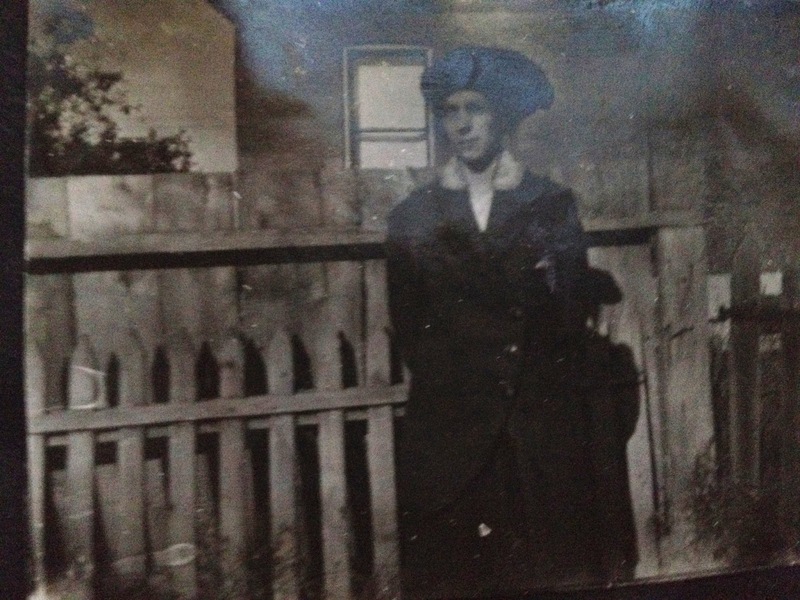 It was sent to my Auntie Cordie (Mary Cordelia Simpson nee Cook) who lived in Toronto. 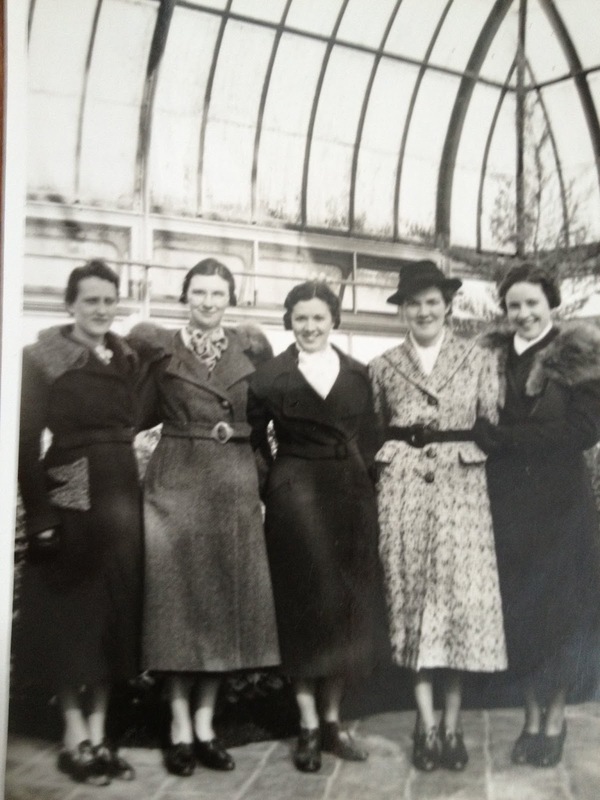 They were part of a treasure trove of photos, documents and photo albums that came into my possession when my mother's cousin Doris (daughter of Auntie Cordie) died in 1998. I knew the brothers were almost certainly part of Auntie Cordie's family but until last night I did not know how they fit, or what their surnames were. Horace 4 yrs 4 mos Leslie 1 yr 7 mos"
I have an earlier photo of Horace labelled "Horace Leonard 1 year, [2?] May 1922" So I had a birth year for Horace of 1921. In case you are thinking that "Leonard" might be his surname, it isn't. I'm glad I did because it helped organize the family for me and allowed me to attach some of the many photos in my possession. My hope is that a descendant will find the Cook Family Tree (which I made public) and thus have access to these wonderful photos. As I discovered more facts about Auntie Cordie's family, I decided to search Free BMD indexes for a Horace Leonard born in 1921 and a Leslie born 1923-1924. I used the surnames I knew were in Auntie Cordie's family (Cook, Towner, Malpas etc) and there they were - Horace and Leslie Cook born to a mother whose surname was Towner. I knew that Clara Towner married Horace Stephen Cook in 1920 and Horace Stephen was Auntie Cordie's half-brother. Bingo! At last I can give these engaging brothers a family. 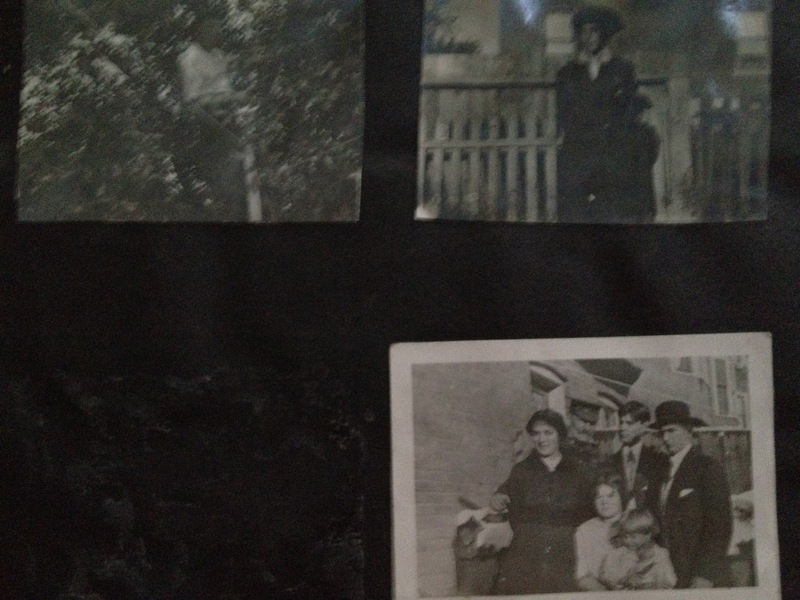 I'm crossing my fingers that a descendant or other family member stumbles on my blog or my Ancestry Family Tree as I really would like these photos to go to someone who is connected to the boys. And I have more of Horace and his parents. 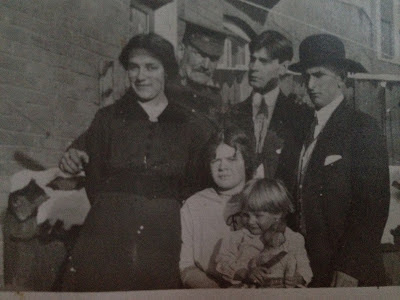 And to top it all off I also have a photo of Horace and Leslie as young men in WW2, with their grandmother. The photo is labelled on the reverse "Horace 19, Gran 78 & Leslie 16 1/2. Soldiers 2 May" Since I know Horace was born in 1921 it must be 1940. The date of birth of "Gran" would be ca 1862 and Rose Dugwell, the second wife of their paternal grandfather Henry Stephen Cook is the best candidate. Their maternal Grandmother was Emily Curtis born ca 1855. Auntie Cordie's mother was Priscilla Edith Curtis (1856-1889) and she was the sister of the maternal grandmother Emily Curtis. 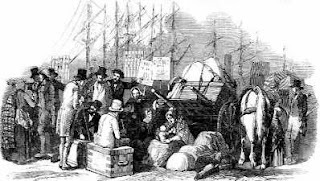 The families lived for the most part in or near Ramsgate, Kent England. Continuing on with my WW1 Photo Album archive here is the 7th page in Doris' album. There are only 3 photos on this page. 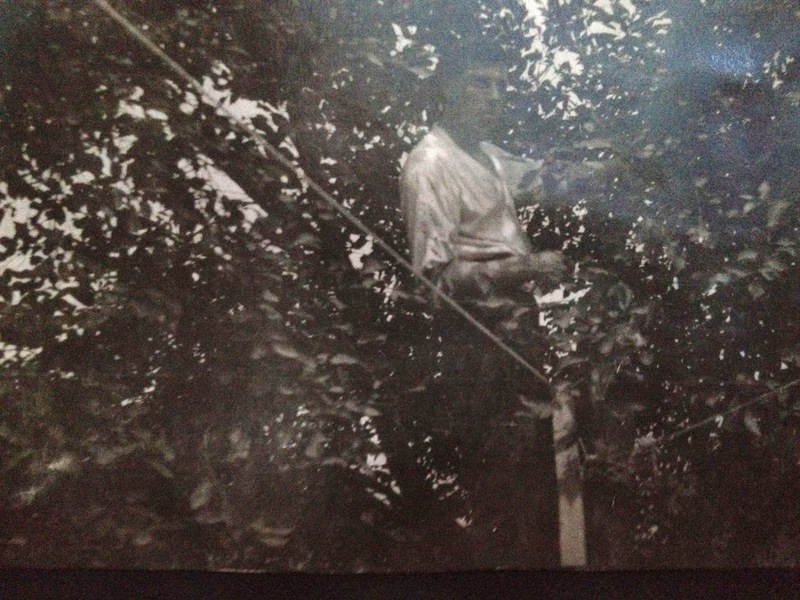 One is my Grandfather Fuller in a garden. 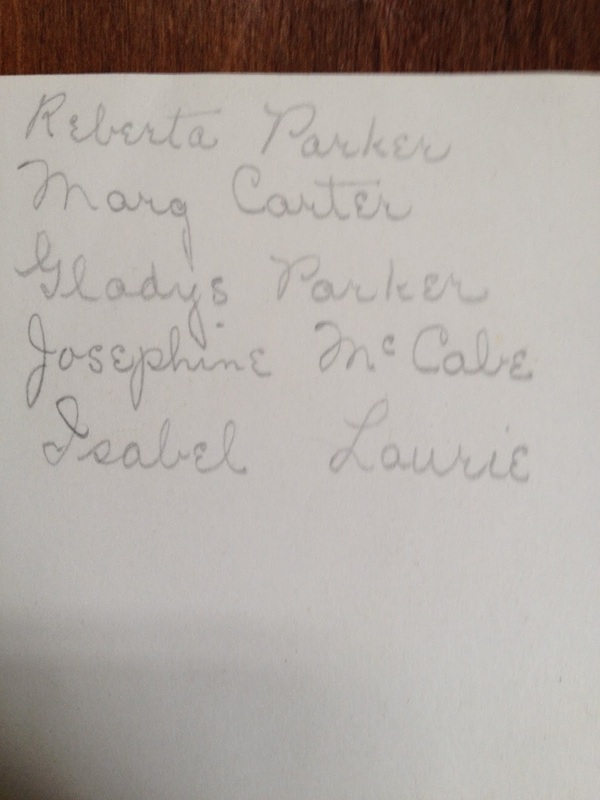 The second is my Grandmother Ruth (his wife) and the third is a family group but I do not know who they are. I don't recognize any of these people. They were obviously important to Uncle Ern and Auntie Cordie but they may be her side of the family and that means I would not recognize them. I have some beautiful photos of Auntie Cordie's ancestors which I plan to put online in hopes other family members will spot them. Our family has no contact or connection with her family so I can't pass those photos on. My two oldest grandchildren spend a few days every summer with us on the farm. They've been doing this since the oldest was 7 years old, so that makes 8 years. Every year I create genealogy activities for them, ranging from a Genealogy board game I created to ancestor stepping stones to Cemetery Hunts. Every year it is something different, but always with a genealogy theme. They have listened to my genealogy stories on every car trip from their home to ours and back. Usually it's the same stories and they used to request specific stories each year... "Gramma tell us about our ancestor who walked Niagara Falls on a tightrope"
So I've been feeling pretty proud of my brainwashing. I figured my grandson would be the next generation genealogist as he was the most interested and the most fascinated by the stories. What a shock yesterday to find out I've been deluding myself! 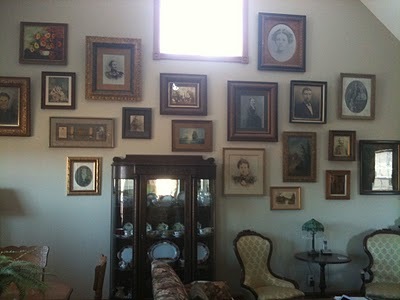 We were sitting and having lunch and I casually asked "Can you show me one of your great great grandmothers on the wall" As a preface I should explain that we have dozens of ancestor photos in antique frames hanging on our walls and I've used those to play my own Genealogy version of I Spy called I Spy With My Genealogy Eye with my grandchildren for years. So yes I figured they would remember who was who. Wrong. They could not name or even point to one of the three photos of their 2nd great grandmothers. They seemed puzzled when I pointed them out and provided the names plus the relationship such as "This ancestor is my dad's grandmother". Ali, my grandson, did say at one point, "Oh yeah I kind of remember that name." What a shock! My constant and repeated brainwashing has not born fruit! I'm still hoping that at some point in the future there will be a glimmer of "Hmmm I think I remember my Gramma telling me blah blah blah" But I don't want to risk losing my candidate for the next in line to take up the Genealogy torch. I do have a backup candidate in a younger grandson so all is not lost. But I'm revising my strategies and coming up with a new plan. I haven't gone one yet but when I figure one out I'll share it with you. Ideas and suggestions are very welcome! I should have called this blog post "How to Annoy the Person Who Offered to Help You"
The email I'm about to share with you is the kind of email that makes me want to throw my hands in the air and say "I give up. I'm done. Why am I bothering??" As a preface, many of you know that I maintain several websites and blogs. For anyone interested, the complete list of my 20 blogs and websites is on my About Lorine page. My main website is Olive Tree Genealogy which I started in 1996. One of my blogs is Ask Olive Tree, where I try to help readers with their challenging research puzzles. At no time in the 17 years I've had a website online have I ever charged anything to view the content I have transcribed and published. All content on all my sites and blogs is free. Ask Olive Tree blog is one of the free services I offer. So I'm pretty busy bringing free content online and trying to help other genealogists as much as I can. I happily give up my own time to do this. I have to get the content, then transcribe or index it. I have to maintain the sites, fix broken links and so on. And having been online the past 17 years makes me an official internet dinosaur! I don't talk about the financial aspect much but I also spend my own money to acquire content to publish for free. And of course, I pay for my webhosting and other incidental expenses out of my own pocket. I'm not whining about my workload or asking for applause or sympathy, just setting the scene so my readers understand why the email I received today annoyed and bothered me so much. I get emails like these once in awhile, and usually I just sigh and shake my head in disbelief, but this one managed to push me over the edge. if Olive Tree can only partially answer queries - why would I what to pay and join Olive Tree to begin with ? If you guys don't have a clue like you said you did and can't help find the answers to my questions- why should I sign up? 2. "Pay"?? Where on any of my sites do you find me asking for money??? Oh, where I sell my books. But you aren't asking to buy one of my books, you want me to answer your query. No charge for that buddy and I defy you to find where I say you have to pay me to help you. 3. "Join Olive Tree"? What the heck are you talking about? Where do I have anything on my sites that says you have to "join" ??? 4. "You guys"?? What "guys"?? There's just ME. One person. And what's with this "don't have a clue" Gosh I consider myself fairly knowledgeable but I freely admit I do not know the answer to every single genealogy question that comes my way! 5. "Sign up"?? For what? Again, where do you find something on my sites or blogs that requires you to "sign up" for my free services or my free content! Phew. I feel better now. I needed to vent and I hope my readers understand that sometimes - rarely but once in awhile - I need to share my frustration with you. Thanks for listening and please don't send me emails telling me if I don't like what I'm doing and can't take the heat I should give it all up. Because as much as I sometimes feel like throwing in the towel when I see emails like the one this morning, I love doing this. And I love meeting (albeit virtually) my readers and site visitors and interacting with them. Thanks for listening. I think my blood pressure is slowly returning to normal. I saw this blog post How to turn handwritten recipes into tea towels several months ago and thought "what a great idea!" I'd hoped to get one made myself to show you but time constraints and health issues have prevented me from creating my own. Because I want to share this with my readers, you should read the original blog post. 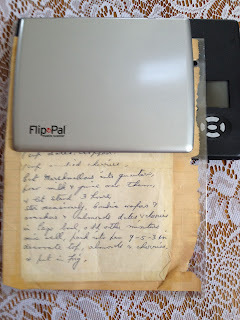 I'd suggest using your Flip-Pal Mobile Scanner to scan old letters or Grandma's recipes then start creating your towel or napkin or even a wall hanging. Wouldn't that be a nice Christmas gift for a family member! As you can see I have my Grandmother's recipe in her handwriting and am scanning it in hopes of finding enough time to create my own tea towels for gifts. The Fair will be streamed online through Ustream. It's free, and there's no reservations or passwords. You can ask questions through the chat function, or tweet your questions to @usnatarchives #genfair2013. Our experts from the National Archives will be discussing Native American and African American history, immigration, Civil War pensions, U.S. Colored Troops, and Navy Deck logs. Recorded sessions will be available online after the event. It was very good, much better than last week's episode. There was a lot of history that was new to me and I found it fascinating. Zooey found out that her female Quaker ancestor played an important part in the 1851 Christiana Riot in Lancaster County Pennsylvania. In this skirmish a group of African Americans and white abolitionists fought off a Maryland slave owner trying to capture four fugitive slaves hidden in the town. After the Maryland slaveowner was killed, William fled to Canada where he settled in the Buxton Settlement in southern Ontario. I'd been hoping he fled to the Queen's Bush settlement which is where my husband's black ancestor Jonathan Butler settled in the mid 1840s. He went on to be a driving force in Ontario (Canada) and his first-hand account of the riot and his flight via the Underground Railroad system, published in 1866, can be read online at "William Parker The Freedman's Story"
A cursory search on Ancestry.com in the Canadian census records show William and his wife and children in Raleigh Township, Kent County Ontario. He represented Buxton on the Raleigh Township Council, to which he was re-elected year after year by both white and black voters. He was not Zooey's ancestor but he did have close ties with her Quaker abolitionists and I found his story as fascinating as theirs. If you missed Zooey Deschanel's journey to find our more about her abolitionist ancestor you can watch it on the TLC website. 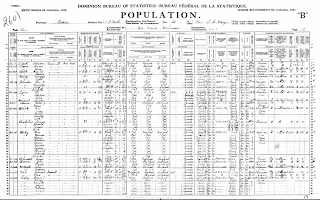 As most genealogists know, the 1921 Canadian Census is now online on Ancestry.com and Ancestry.ca It has not been indexed (yet) so researchers can only browse the images for now but Ancestry will be providing an index within a few months. The images are free to view but when the index is ready it will behind a pay-to-view wall. Those who are not already Ancestry subscribers do need to sign up for free access but no credit card details are required. This is not the same as their 14 day free trial where credit card information is required. There is some controversy over Library and Archives (LAC) partnership with Ancestry.com and many people are questioning why an American based company has Canadian records, will we see the census on LAC's website at any point, etc. After looking around, I found the answers to many of those questions here on Collections Canada website at Learn more about the Library and Archives Canada Agreement with Ancestry.ca. It’s a very detailed explanation of the partnership deal between LAC and Ancestry. Basically Ancestry gets to use the images while they do the indexing. The images and index are on Ancestry for 3 years then the indexes are turned over to LAC and they put the index and images online for free. Seems like a win-win situation to me! If we waited for LAC to index we’d be waiting a very long time! Interested genealogists can also read "LAC Answers Questions about Release of 1921 Census" on the OGS (Ontario Genealogical Society) Blog. 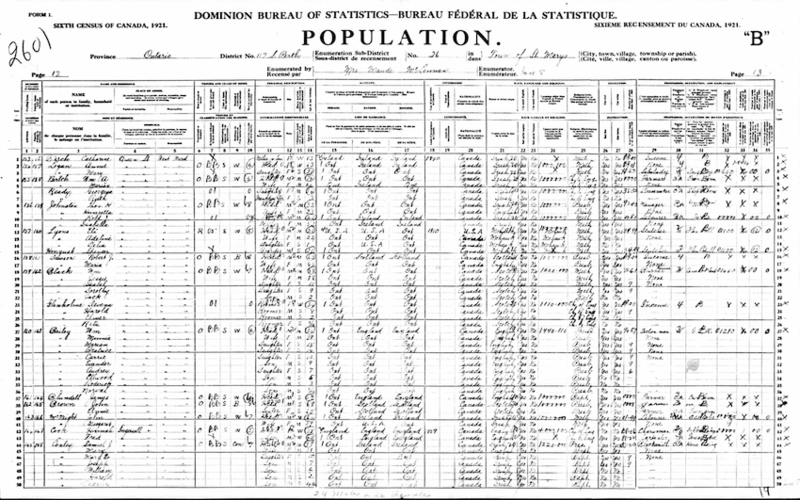 Loving the 1921 Canadian Census Images Online!